Apart from specialised interests that include unique birds, reptiles and other wildlife, the spectacular spring flower miracle is one of the main natural tourist attractions, and what an attraction it is! Imagine seeing 250 flowers per square meter, over hundreds of hectares … a sight beyond description. Displays usually reach their peak towards the middle of August and draws to a close at the end of September. Depending on the rainfall the flowers may bloom from mid-July. Accommodated in the old synagogue, farming activities from the early years are depicted by a bucket pump, flour mill, cobbling & blacksmith workshops as well as soap & candle-making utensils. Various oddities, including the black wedding dress, and the four legged ostrich as well as the Lombard Quadruplet memorabilia are but a few of the interesting exhibits. The development of sheep & wool farming in our country is fully displayed at a separate venue. 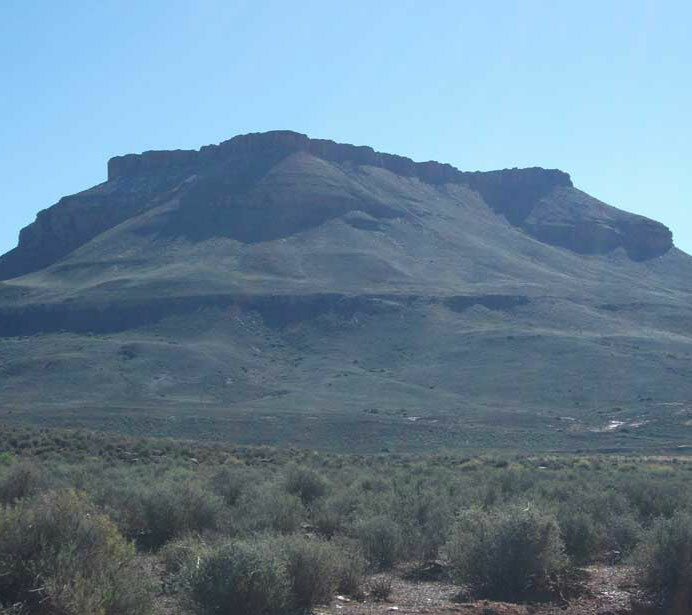 Situated north of the town, the Akkerendam Nature Reserve & Hiking Trail presents hiking into the Hantam as an excellent way of exploring unspoilt nature. The reserve is also a proclaimed bird sanctuary, and the Kareedam provides an oasis for many migrating birds. Within two days keen birdwatchers can expect to see 65 different species, including the rare Cinnamon breasted Warbler. For those who reach the summit of the mountain awaits a sight that literally “lets you see forever on a clear day”. 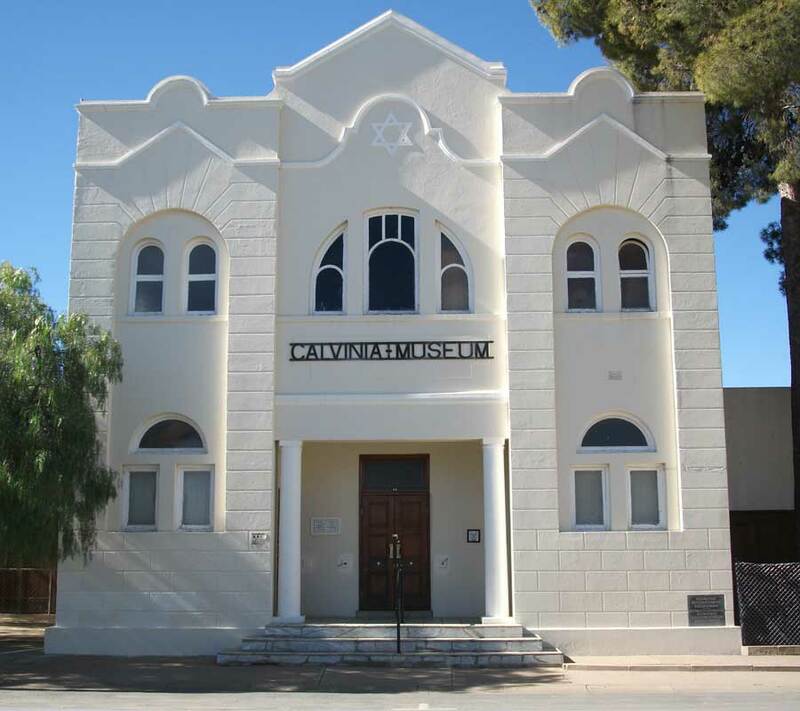 Glacier tracts, dinosaur footprints & tracks, the SA Astronomical Observatory at Sutherland, the unique architecture in Calvinia and surrounding towns, with corbelled houses and other sandstone structures. Amble down Calvinia’s “onderdorp” and consider its past as reflected by its fine Cape Dutch, Victorian, Edwardian & Georgian buildings … see how the different architectural styles have evolved and combined to form unique styles suited for the extremes of our climate. The annual Meat Festival, a carnivore’s dream of Heaven, is held during the last weekend of August. 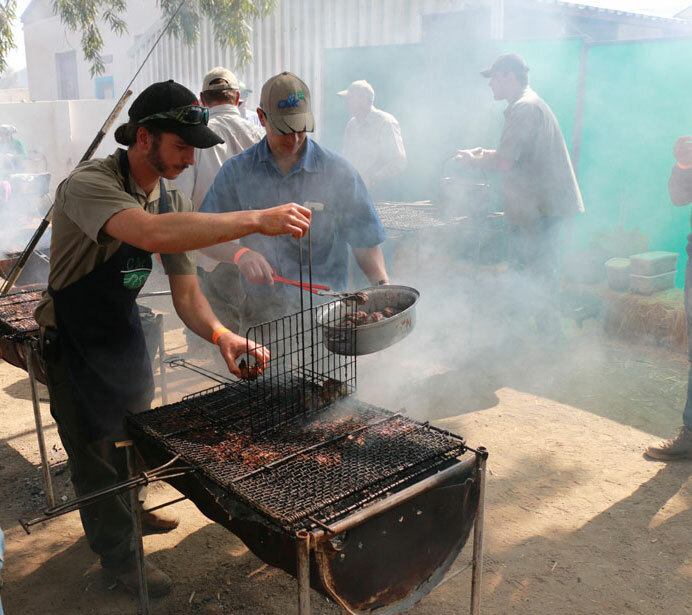 This is a festival where lamb and mutton are prepared in every possible way and portions sold at give-away prices. However, Calvinia’s greatest asset is its people. The harsh, desolate conditions produced a rare breed of people, rich in spirit, creativity and independence – with purity of mind as fresh as the air they breathe.